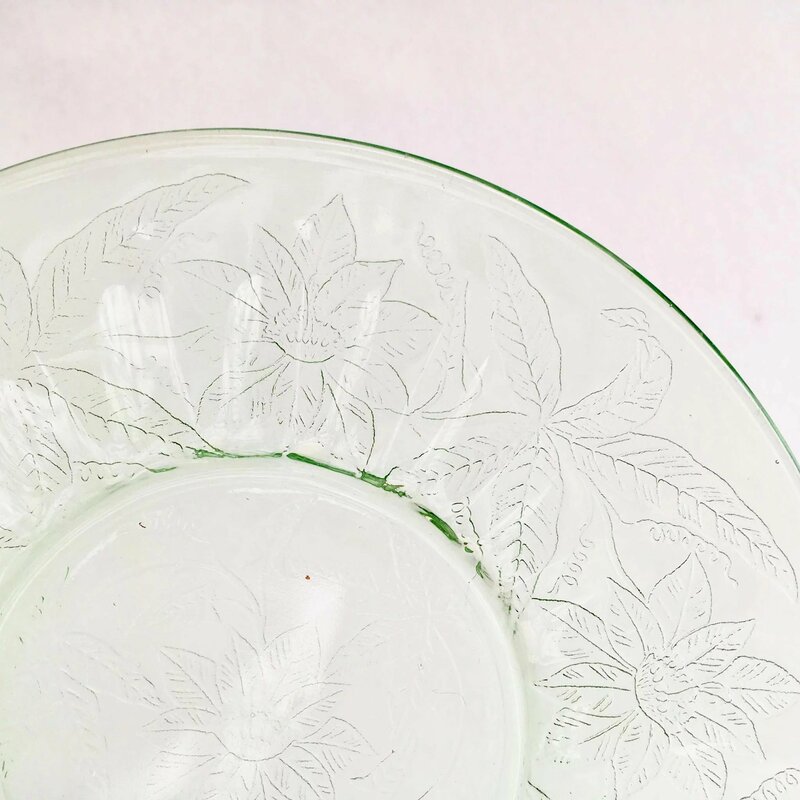 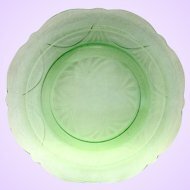 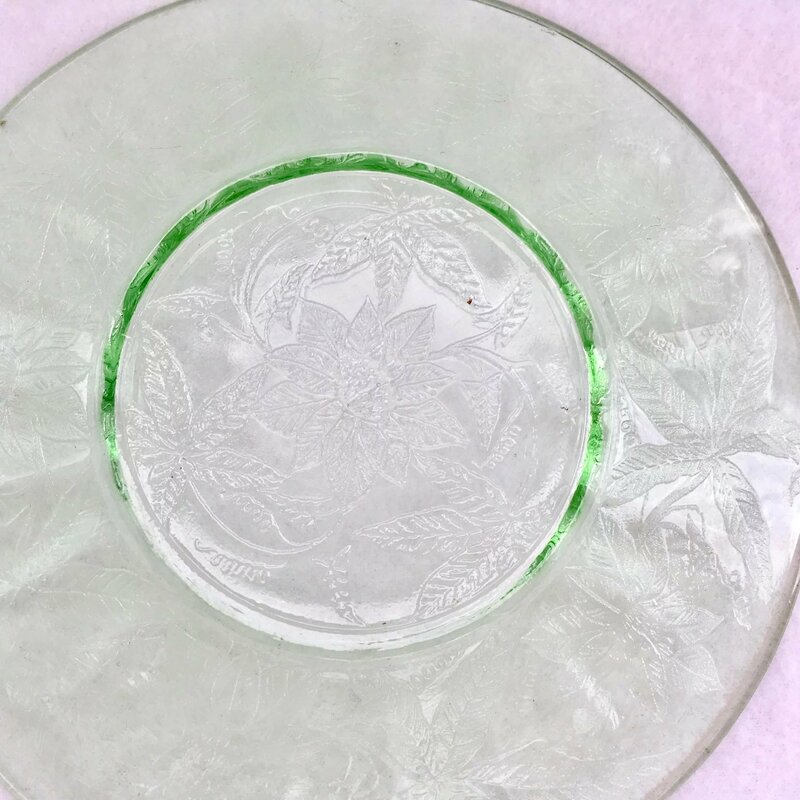 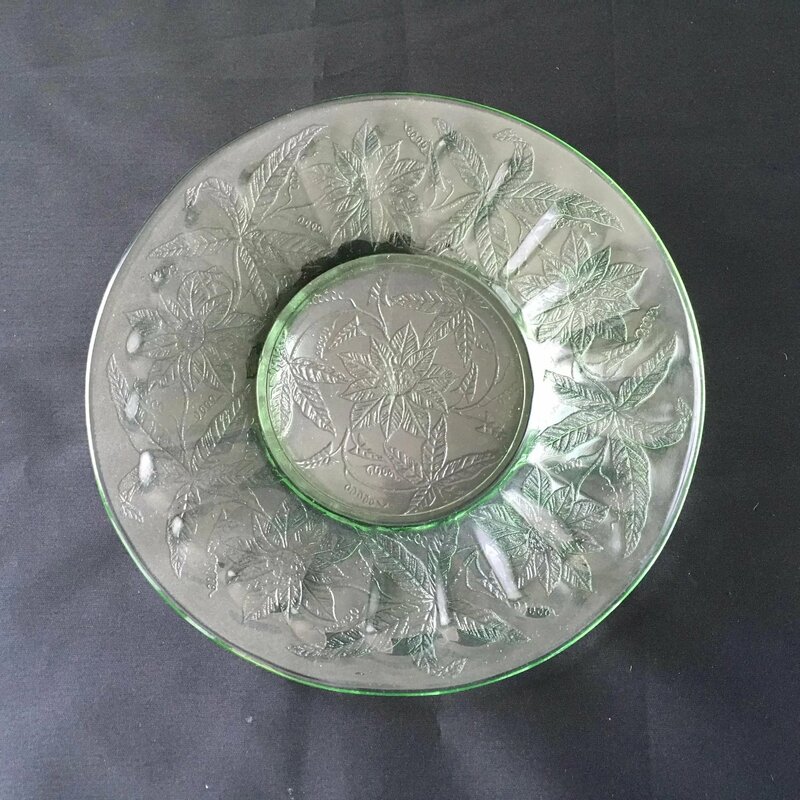 Each of these Green Floral, or Poinsettia, Depression Glass Sherbet Plates was made by Jeannette Glass between 1931 and 1935 and is still today one of the more sought after Depression Glass patterns. Floral is often called "Poinsettia" for its resemblance to that flower. 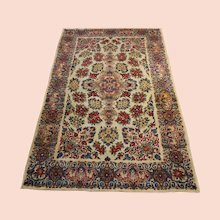 The mold is an all over pattern of star-shaped flowers with pointed petals and long, pointed leaves. 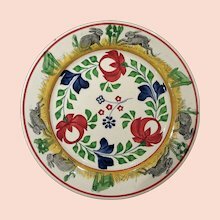 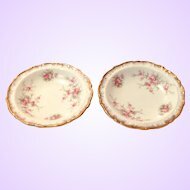 These plates will make great snack plates at your holiday gatherings! 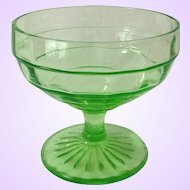 Each glass sherbet plate measures 6-inches in diameter. 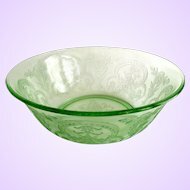 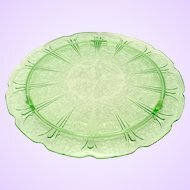 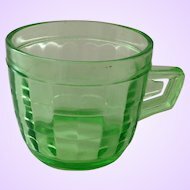 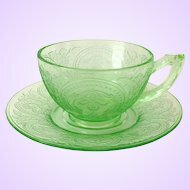 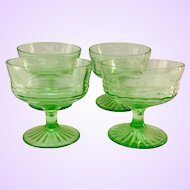 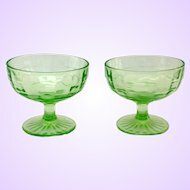 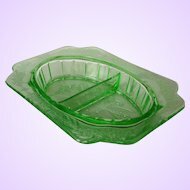 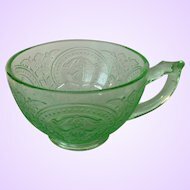 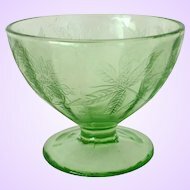 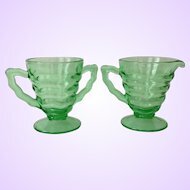 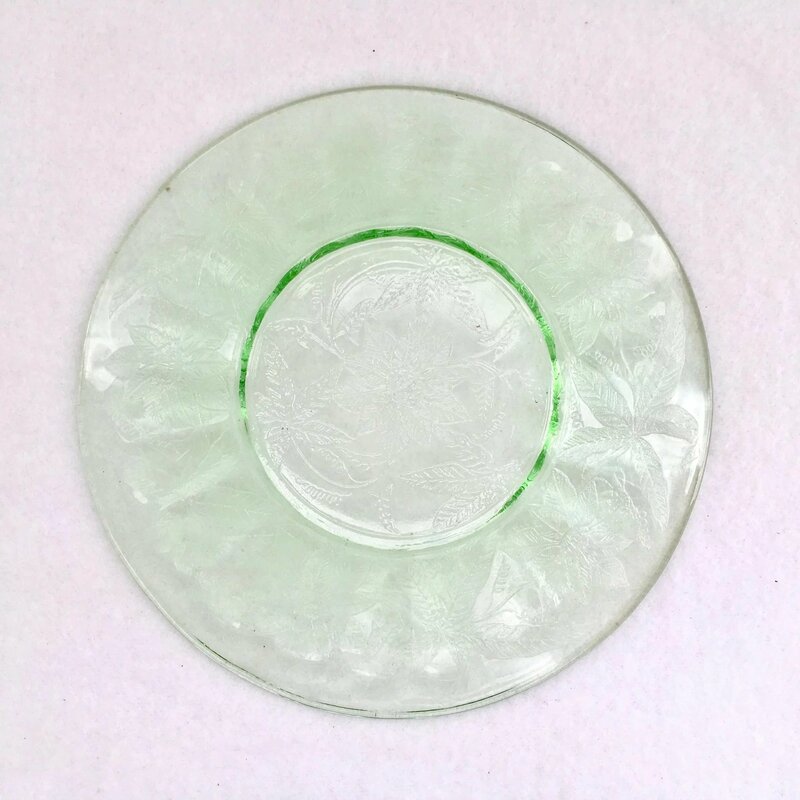 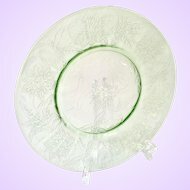 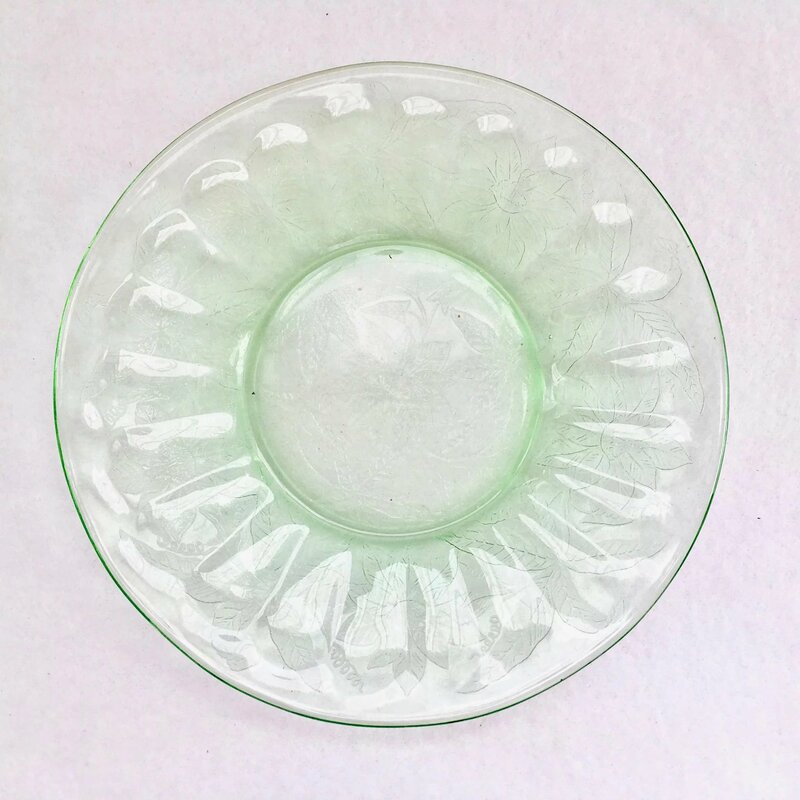 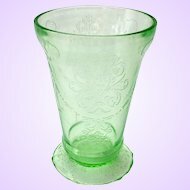 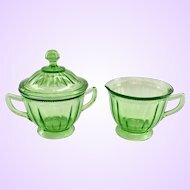 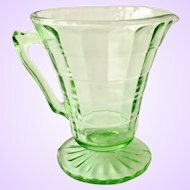 As with most depression glass, they are not marked. 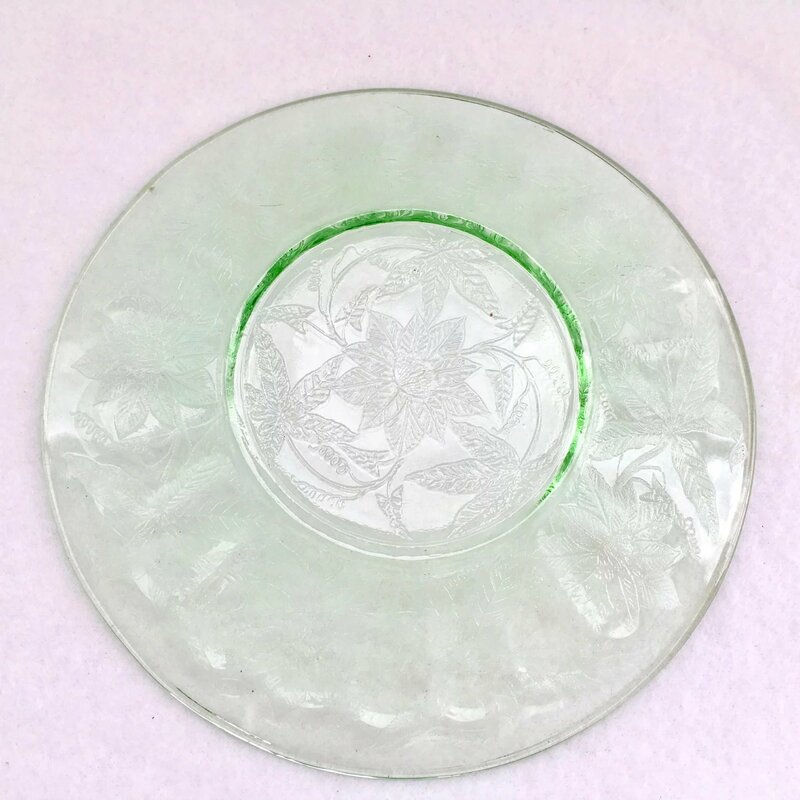 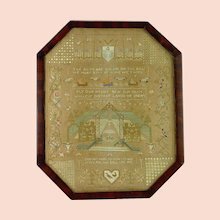 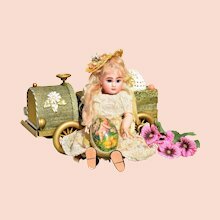 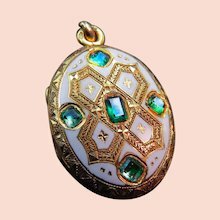 Other than the expected flaws characteristic of Depression Era Glass, such as bubbles, mold seam roughness, or other irregularities, there is no damage to any of these lovely plates. 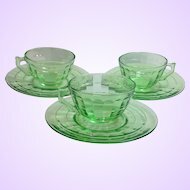 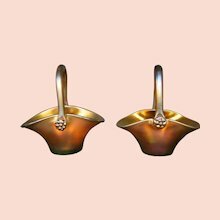 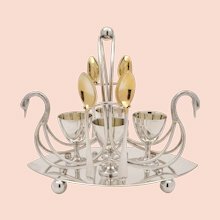 Offered in sets of four, two sets are available.